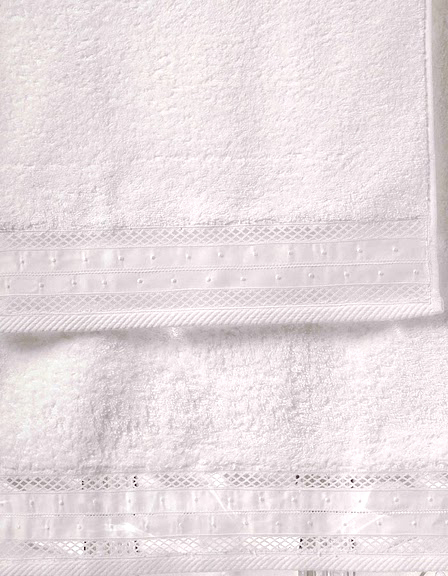 Italian DREAM LACE sheets by Dea of Italy. Three rows of elegant lace and 4 bands of hand embroidered French knot embroidery grace this refined, traditional bedding ensemble. Fitted sheets are solid sateen from the Eleonora collection by Dea. Or go back to Lace Sheets for more Italian lace bedding. Dream Lace Queen Flat Sheet 94"x114"
Dream Lace King Flat Sheet 114"x114"